Today developer 2much4ux has released a new homebrew named Internet Browser for Exploit 4.05 for the Playstation 4. Check out the release notes, changelog and the download link provided below. 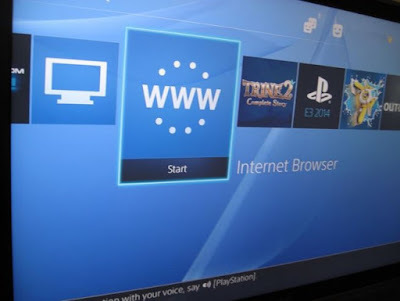 Indeed, all owners of PS4 not activated (console never connected to the internet) not access to the browser console, which is quite annoying knowing that the hack is launched primarily by the browser. There is a manipulation with the user guide, to find a Google page and enjoy the browser, but the latter although simple is long enough to do. You will understand, all those being blocked in the browser can now activate and permanently, even after your console off, the browser will remain activated and functional, no need to go through the user guide. Attention this does not replace, and is not especially useful to launch the exploits, if you use a local server in order to lodge them yourself.